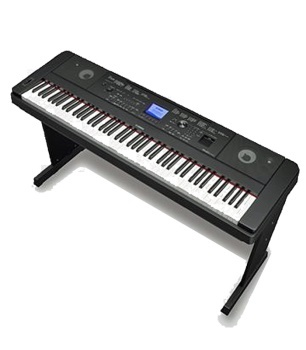 The DGX-660 is Yamaha's newest ensemble digital piano to feature a variety of interactive features that make learning, playing and sharing music fun for everyone. Acoustic piano touch and tone come first via the Graded Hammer Standard action and PureCF sampling, which includes recordings of a Yamaha concert grand piano. But when learning to play your favorite songs, why stop at the piano features? The XG sound set lets aspiring pianists play along with professionally-arranged recordings of songs made famous by artists like Coldplay, Elton John, Adele and more. The optional You Are the Artist Series combines best-selling Hal Leonard song books with play-along XG song files for the DGX-660. Download your favorite collections or view the entire You Are the Artist Series library at YamahaMusicSoft.com/xg.And finally, when youre ready to share your musical achievements, the new USB Audio Recorder creates a CD-quality audio file on any USB device.